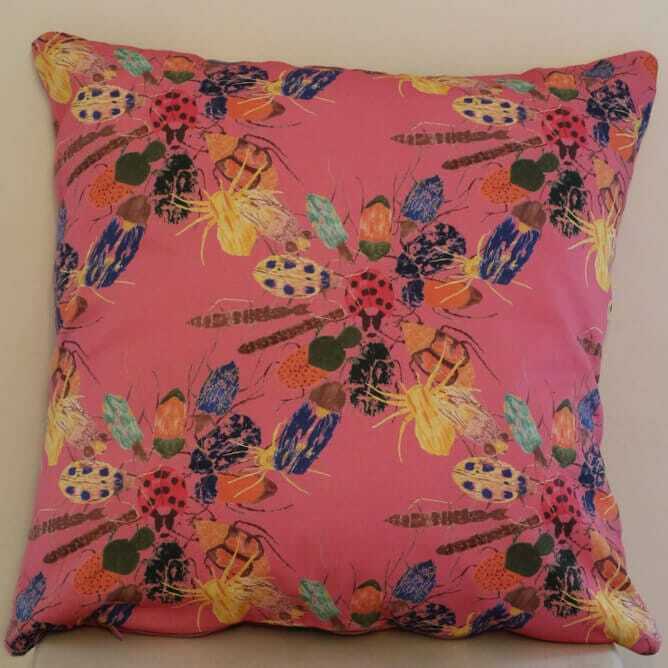 A cushion the whole family will love, bringing colour and fun into your home. 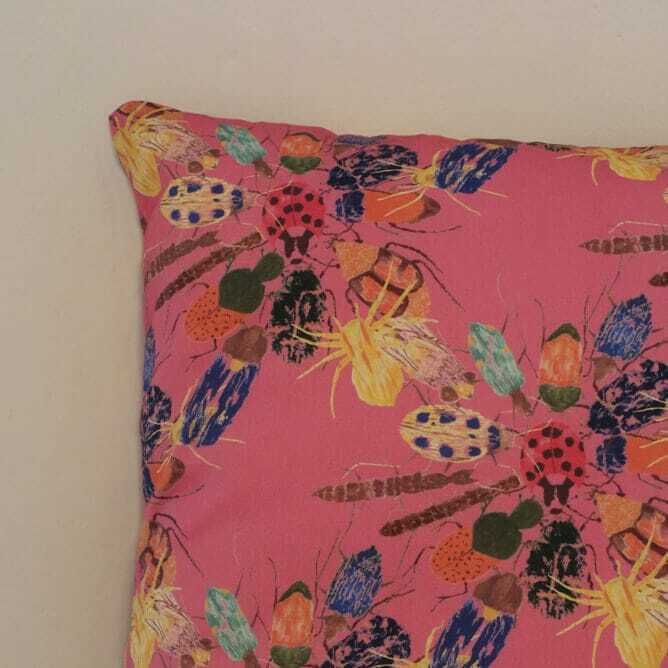 This cushion brings both nature and insects together with the insects in a floral design, with an array of colours and detail. 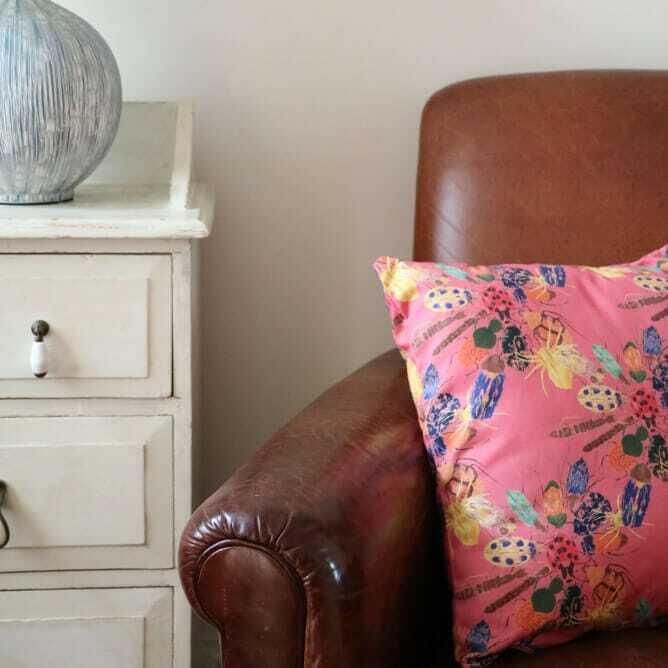 Isabelle Lucille Jolliffe is a designer specialising in printed textiles and wallpapers. ‘My interest in screen-printing started while at college studying fine art’ and this passion continued through to degree where Isabelle studied BA (Hons) Textile and Surface Design at Bucks New University, studying under Daniel Heath. ‘I really enjoy the method of designing fabric and wallpaper, I enjoy both screen-printing and digital printing. I am passionate about colour, print and pattern. I like seeing the piece from beginning to end and all the different aspects needed to complete the project’. Isabelle is an experienced print specialist and has had industry internships with Timorous Beasties, Glasgow and Custhom, London. She has worked on live projects and competitions such as Dulux and Bradford Textiles society. Her work has been exhibited at New Designers London, and Claydon Gallery, National Trust. ‘I love designing new fabrics and wallpapers. I put a lot of hard work and effort in to designing my piece, and the moment I love most is pulling the squeegee across the screen to expose my final design. Equally I find the process of printed textiles really fun, going from paper to computer, being able to have full control of the software through the design process. ‘Seeing your designs grow and develop drives you forward, developing designs from concepts and ideas is all consuming’. Isabelle Lucille Jolliffe creates interior designs that carry a message. 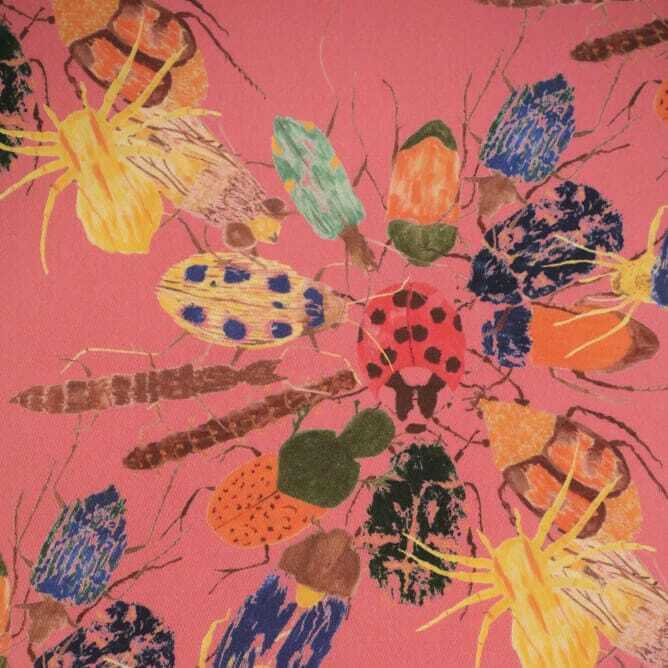 My current designs ‘Insectum’ is a design collection using colour to create designs that bring home the importance of insects within our daily lives with a collection of wallpapers and upholstery fabrics. Insects are essential in keeping our world resplendent and maintaining the environment. Often overlooked, insects can be very beautiful with a myriad of colour, texture and surface, particularly when seen from close up. Insects and flowers are the source of inspiration for Insectum, these designs not only remind us of their importance but the designs bring the outside into our living space and daily lives. Using a mixture of creative drawing, screen-printing and digital printing, this collection allows the consumer to customise and personalise their environment.